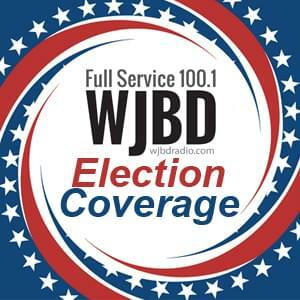 The Illinois Broadcasters Association/Research America, Incorporated just released poll results show Democratic Gubernatorial Candidate J.B. Pritzker and Attorney General Candidate Kwame Raoul with big leads in the upcoming November General Election. When asked if the election for Governor of Illinois were held today, which of the following four candidates would you vote for? 44-percent of the more than 1,000 respondents statewide indicated they would vote for Pritzker. 27-percent said Rauner, six percent chose Conservative candidate Sam McCann, with Libertarian candidate Kash Jackson receiving 4-percent of the vote. 14% responded don’t know, haven’t decided or had no answer. In the race for Attorney General, 43-percent favored Raoul, while 32-percent would vote for Republcian candidate Ericka Harold. 21-percent responded by answering don’t know, haven’t decided or no answer.